The great sandy beaches and the associated fore dunes of south east Queensland are under enormous pressure from pedestrian and vehicle access. That is, unmanaged pedestrian access that causes trampling of the dunal vegetation (such as beach spinifex Spinifex sericeus) poses the major threat to recruitment, resilience and structure in the vegetation community of the foredune. 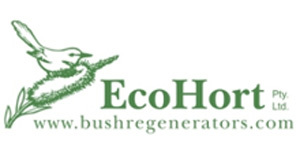 In 2010-2011 Brush Turkey Enterprises undertook Project Management and Implementation of a dunal restoration project that extended along 1.8 kms of the coast north of the township of Woorim, Bribie Island. The works were undertaken for Moreton Bay Regional Council and SEQ Catchments, funded through the Moreton Bay Oil Spill Restoration Program. Education and involvement of the local and surrounding communities, through school groups, community plantings, networking with local community groups. Weed management in the hind dune to enhance health of this area 9.8ha. Signage to educate and raise awareness of dune management. Public awareness of the sensitivity of this ecosystem through signage and community engagement and fencing. Dunal protection fencing has had the greatest impact, by reducing (not necessarily eliminating) public access to the extent that recruitment of Beach Spinifex and other fore-dune groundcovers stabilised the toe of the fore-dune. Beach Spinifex is crucial in creating and stabilising fore-dunes. Elimination or even a reduction of public access pressure allows this ecosystem to repair itself. What can 6 years & $250,000 achieve?